For short to medium length hair that lacks thickness. Gives hair a natural appearance with unbelievable thickness, extreme texture and incredible definition. Perfect for short to medium length hair that lacks thickness. Instantly transforms dull, dry, frizzy or damaged hair into smooth, soft silky hair with incredible shine. 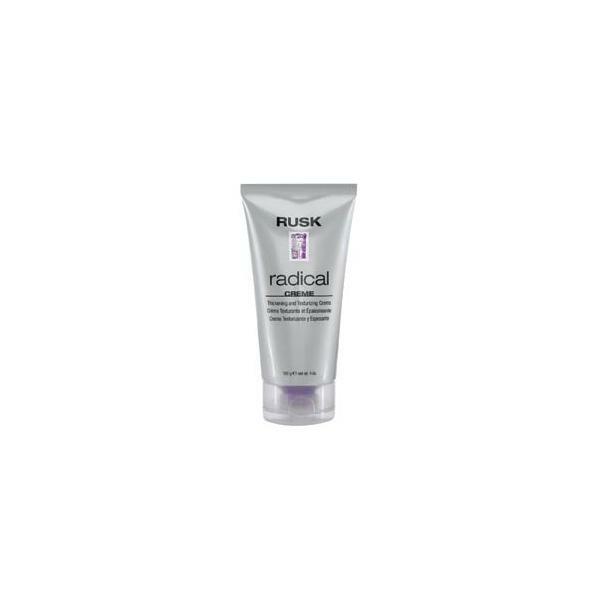 Also provides maximum thickness, separation and finish from intense shine to soft matte. 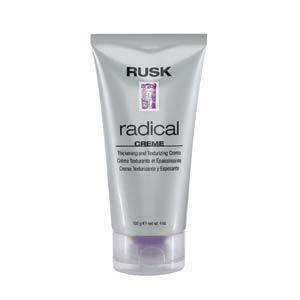 For the WET AND DRY LOOK: Apply Rusk Radical Creme to wet hair to thicken and bulk up each hair strand. Style and finish with Rusk Define for mind -boggling separation, hold and shine! External Texture and Shine Formulas dramatically alter texture and shine by working primarily on the outer surfact layers of the hair. These products instantly transform dull, dry, frizzy or damaged hair into smooth, soft silky hair, with incredible shine. External Texture and Shine products also provide maximum thickness, separation and finish from intense shine to soft matte.